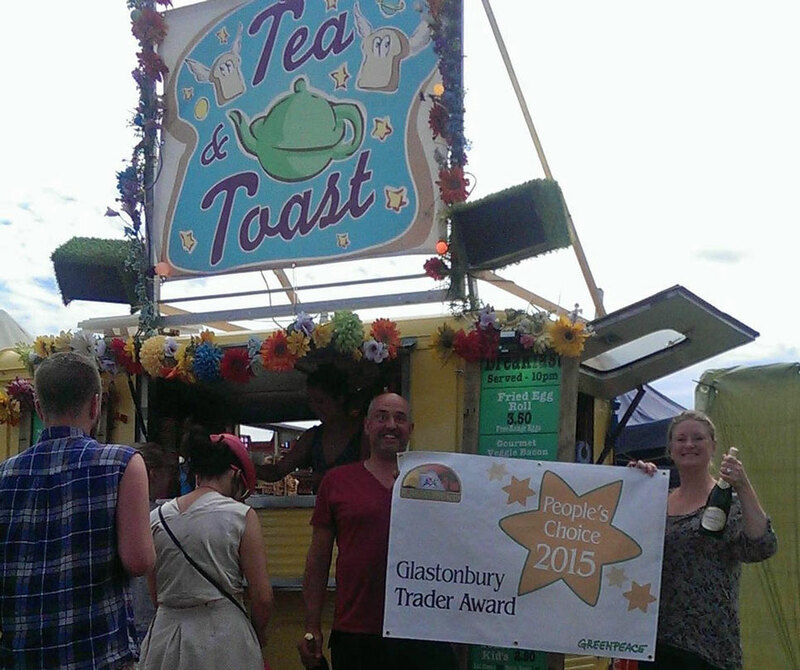 We’re pleased to announce the winners of our Traders Awards at Glastonbury 2015. Entries for the 2015 Awards were completed before our traders even got to site this year and we had an amazing number of applications. The competition was tough and our Gold Prize (which is a free pitch for next year) for the most sustainable food trader was awarded to The Green Brownie who sell the most amazing chocolate brownies in the B2 Market, opposite the Williams Green venue. 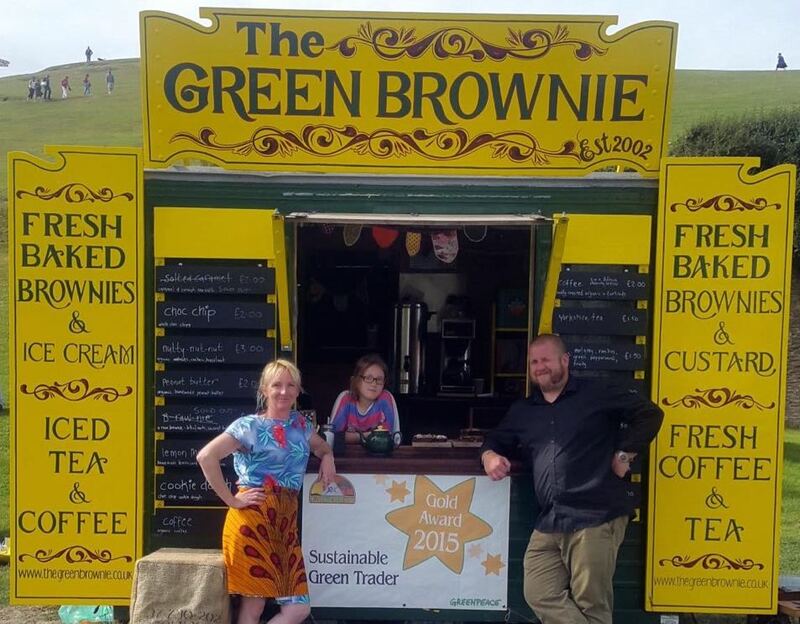 The Green Brownie strives to be a sustainable and organic trader by growing and producing much of their own ingredients and compost most of their own waste on site taking it home to help in their food production. Some of the energy is provided by solar power and much of the stall is made out of reusable materials. Well done Lorna & Chunk. 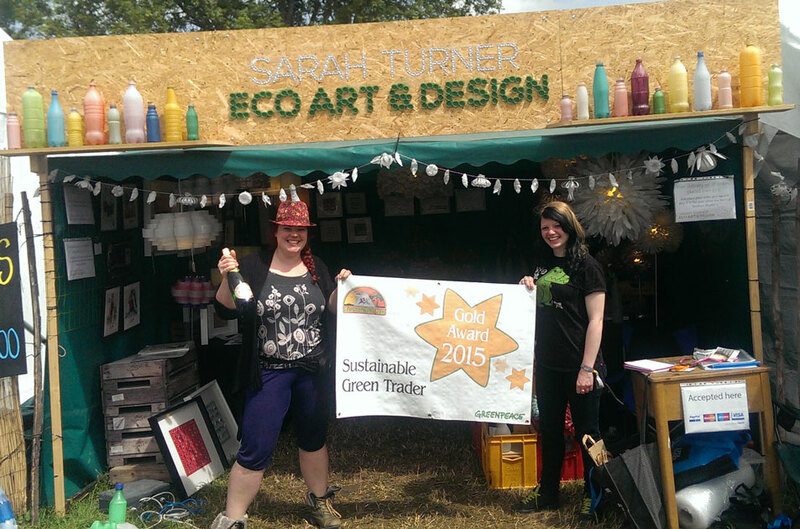 Our Gold Prize for the most sustainable non-food trader was awarded to Sarah Turner who hand makes beautiful & unique lighting, sculptures, flowers & artworks by upcycling waste materials such as plastic bottles & cans. Sarah’s design ethos is that “just because a product is made from rubbish, it doesn’t mean it needs to look like it does!” There were some amazing items on display and for sale at the festival and we look forward to welcoming Sarah back next year. With votes cast by Twitter for the People’s Choice Award, contenders were Tea & Toast, Ghandi’s Flip Flop, Goan Seafood Co, Barley Sugar Bake House & No Bones Jones. Tea & Toast were the outright winners serving up delicious snacks throughout the Festival. Ben’s motto is to ‘keep people well fed on small money and keep the party going’. Keep it up Ben, those Festival goers need something homely and comforting day and night. The ‘best dressed’ stall was a very difficult competition to judge. A number of stalls were nominated by the Markets Team and were judged on the effort made to look amazing on site. 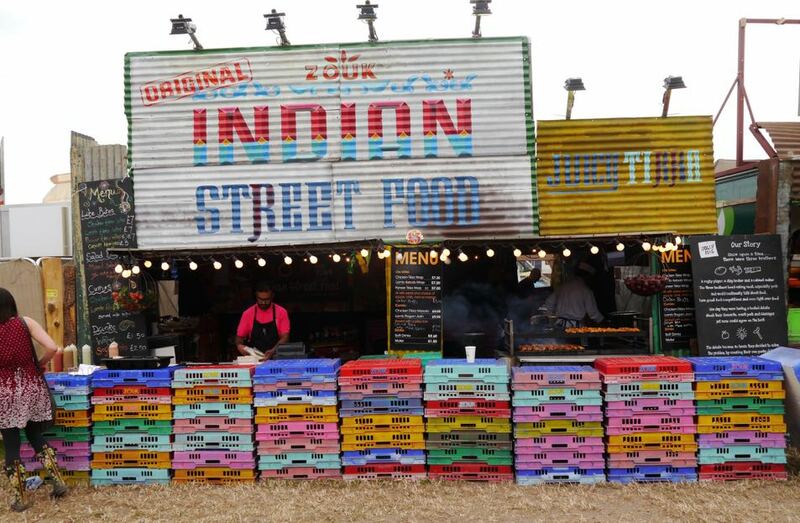 We selected our winner after the festival to give us time to go through all the photographs and nominations and are delighted to announce that Indian Street Food (Zouk) were our winners. Well done you guys for your imagination, very impressive.